As entertainers, corporations, and even the government pander to the lowest common denominator, American life becomes increasingly vicarious, prefabricated, and bereft of meaning. 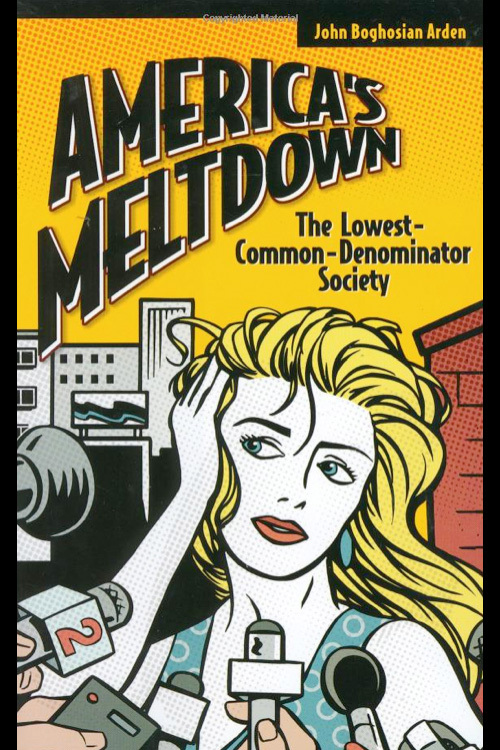 This book examines contemporary American consciousness, considering the factors that have driven society toward gossip and sensationalism at the cost of substance and depth. Celebrity news, video games, cookie-cutter schools, and shopping, shopping, shopping. As entertainers, corporations, and even the government pander to the lowest common denominator, American life becomes increasingly vicarious, prefabricated, and bereft of meaning. 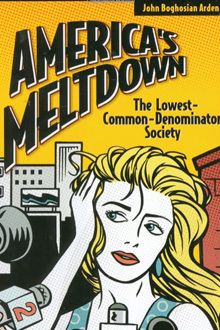 This book examines contemporary American consciousness, considering the factors that have driven society toward gossip and sensationalism at the cost of substance and depth. Arden discusses the growing epidemic of acrimony, superficiality, attention deficit disorder, and complaints of ennui. He targets the reasons why American children have expressed their confused rage with deadly weapons, why a president boasts that he earned Cs in college, and why society has drifted into craving entertainment laced with violence and cheap thrills. The book is provocative reading for concerned citizens, as well as for scholars and researchers involved with contemporary American culture and society.